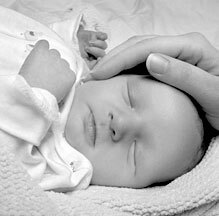 Empowerment and education are at the heart of all the services offered at Birth Revolution. My philosophy is firmly seated in the principle of informed choice through women's autonomy and extensive client education — I want you to know your body, and I do not regard my knowledge as proprietary information. I have deep trust in the innate strength of women. I believe women's bodies are not inherently dangerous or in any way hostile. I know that birth is at the essence of a woman's power, and should, as such, be revered as a deeply powerful experience free from hovering and harrassment. I feel privileged to bear witness every time a woman discovers her capacity to give birth without intervention and without interference. That discovery is profound, and I am honored. In accordance with my core philosophy, I adhere to the Midwives Model of Care. The Midwives Model of Care is based on the fact that pregnancy and birth are normal life processes. Copyright © 1996-2007, Midwifery Task Force, Inc., All Rights Reserved.